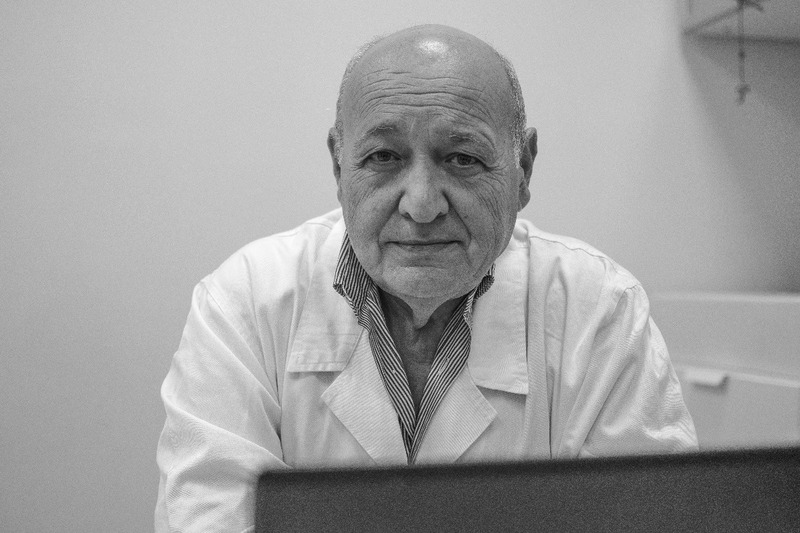 Since 2011, a team of Italian Researchers guided by Dr. Antonio Costantini has devised a therapy for the clinical treatment of symptoms of neurodegenerative diseases such as Parkinson's Disease. To date more than 2,500 patients have benefited from this therapy and their feedback has been incredibly encouraging for the future perspectives of the research against these diseases. In order to be accessible to every patient in the world, the High Dose Thiamine protocol requires approval from the various international Drug Administrations. A multi-location randominzed double-blind placebo-controlled trial covering a representative number of patients and spanning over the relevant time frame is necessary for informing scientifically and with statistical significance on the effectiveness of the therapy, understand and describe its mechanisms and potentially further improve its efficacy and thus obtain the authorization to become a standard therapy. Please, donate to this campaign. Dal 2011, un team di ricercatori italiani guidati dal Dott. Antonio Costantini ha sviluppato una terapia per il trattamento dei sintomi di una serie di malattie neurodegenerative come il morbo di Parkinson. Ad oggi, più di 2,500 pazienti hanno tratto beneficio da questa terapia e le loro testimonianze sono fortemente incoraggianti per quanto riguarda le future prospettive della ricerca su queste malattie. Per far si che questa terapia possa essere accessibile a qualunque paziente nel mondo, il protocollo con Alte Dosi di Tiamina richiede approvazione delle agenzie internazionali del farmaco. Per ottenere tali autorizzazioni è necessario disporre di uno studio in doppio cieco randomizzato, effettuato su un numero rappresentativo di pazienti che informi in maniera scientifica e con significatività statistica in merito all'efficacia della terapia. Tale studio in doppio cieco aiuterà a capire e a descrivere i meccanismi di azione della tiamina somministrata secondo il protocollo ad Alte Dosi e potenzialmente aprirà la strada ad ulteriori sviluppi clinici per il miglioramento ulteriore della sua efficacia. Questo consentirebbe l'ottenimento delle autorizzazioni necessarie a far della terapia ad Alte Dosi di Tiamina una componente standard nel trattamento di malattie altamente invalidanti come il morbo di Parkinson. Per questo motivo abbiamo fondato questa campagna di raccolta fondi che supporti questa iniziativa con l'obbiettivo di raggiungere l'ammontare necessario per portare a termine la sperimentazione in doppio cieco. Per favore, donate per questa campagnia di raccolta fondi. The results obtained in the examples presented above are startling. Motor and non-motor symptoms are reduced drastically thanks to the HDT therapy. I risultati ottenuti negli esempi presentati sopra sono sconvolgenti. Sintomi sia motori che non motori sono ridotti in maniera drastica grazie alla terapia ad alte dosi di tiamina. My name is Marco Colangeli and I am Dr. Costantini's assistant for the HDT protocol. I am an Environmental Scientist, I hold a B.Sc. and a M.Sc. from the University of Viterbo and I also hold a second M.Sc. from the PACE University New York. I work for the United Nations as an expert on sustainability, climate change, and environmental implications. Before joining the United Nations I worked as a teacher, on subjects like Ecology, Biology and other Natural sciences, for the University Studies Abroad Consortium based at Tuscia University in Viterbo, Italy. At the time Dr. Costantini first realized that his initial discovery on the application of HDT to treat fatigue in autoinflammatory diseases, he contacted me as I was an expert in Natural Sciences and Biology with a background on International Research to support his work on the matter. We begun a cumbersome and difficult research to build up the scientific background necessary to understand the possible dynamics of action of the HDT treatment and consequently publish our findings on independent peer-reviewed Medical Journals. Since 2012 I became the Scientific Coordinator of the research and co-author of most of the literature on the application of HDT protocol we produced (see list here https://highdosethiamine.org/2018/07/10/articles/ ). The need for this GoFundMe campaign became clear very early on, but it has been only after a few patients suggested that this could have been an instrument to mainstream our findings and enhance the effectiveness of the therapy that we decided to run this campaign. This protocol has proven very effective in patients with Parkinson Disease, when carefully administered to patients in addition and not as a substitute of the classical therapy. The funds necessary for a randomized double-blind placebo controlled study require the contribution of a number of donors and possibly charity and philanthropy foundations. The first practical act for the production of the multi-location double-blind placebo controlled trial will be the constitution of a foundation that can manage the funds. This would be the HDT Foundation. Secondly, the HDT Foundation will organize meetings and discussions with stakeholders, such as research institutes and clinics that could host and carry out the trial. Once agreements are signed, these institutions, at least one in Italy and one in the United States of America, will receive the bulk of the funds raised by this funding campaign and the other related campaigns. These funds will be necessary to pay expenditures for staff, hospitality of patients, purchasing materials and services specifically for the development of the trials on the HDT therapy. The HDT Foundation will oversee and coordinate the work of the two (or more) research facilities that will carry out the trials and will coordinate the writing of publications on the matter. The clinical trials will reach at least Phase II. Phase II studies test the efficacy of a drug or device. This phase of testing can last from several months to two years, and will involve several hundred patients. The phase II studies will be randomized trials where one group of patients receives the HDT protocol in addition to their normal therapy, while a second "control" group receives a standard treatment and placebo. This because the HDT therapy has proven extremely effective in maximizing the efficacy of classical therapy for instance in patients affected by Parkinson Disease. As this campaign intends to provide all patients at least in Europe and in the United States with approved therapy for the autoimmune and inflammatory as well as for the Neurodegenerative Diseases studied, the results of Phase II experiments will inform about the need to raise funds for a phase III implementation. Phase III is an even more thorough understanding of the effectiveness of the drug that can receive FDA approval. Lastly, funds will be spent for the process of publication of the peer-reviewed journal articles and for the participation to relevant international conferences to present the findings of the study to the international scientific community. The withdrawals towards the beneficiary of the campaign will allow the temporary covering of expenditures for staff working on the campaign, and the constitution of the HDT Foundation. Once the HDT Foundation will be operational, all withdrawals will be diverted to the Foundation's account and will follow the expenditures plan listed above.